Doodling autumn design. 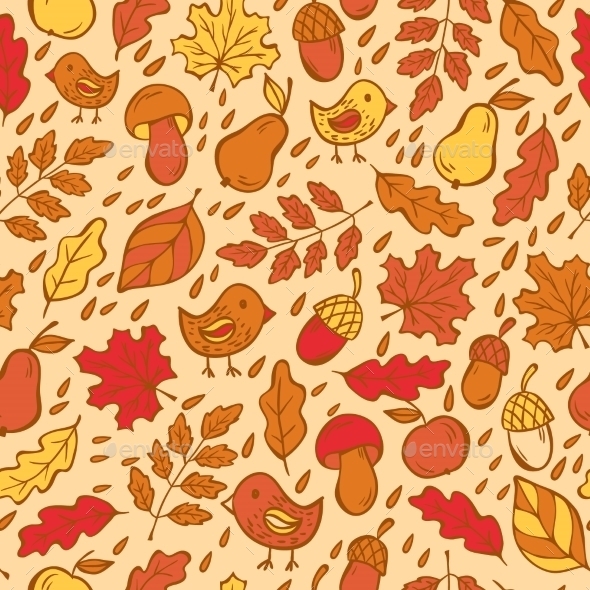 Hand draw seamless pattern with leaves, mushrooms, birds and fruits, autumn colors. Doodling Autumn Design. ; Pattern With Pumpkins; Autumn Doodles Pattern; Seamless Pattern with Oak Leaves; Pattern With Pumpkins; Pattern Of Pumpkins; Feathers Seamless Vector Pattern..
Keywords: autumn, background, boots, cloud, decoration, design, doodle, drop, fall, forest, illustration, leaf, maple, nature, november, october, pattern, plant, rain, seamless, season, september, texture, tree, umbrella, vector, wallpaper, water, weather, yellow.